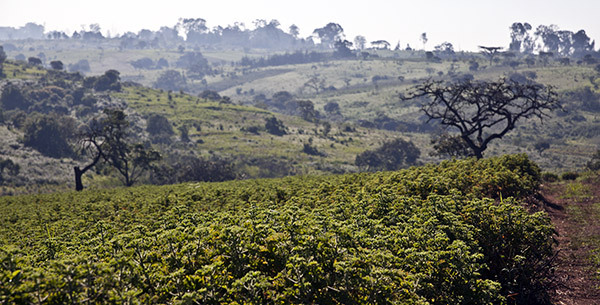 Avituri was created by Charles Ndabazaki Schafrad and regroups around 200 acres of food crops, aromatic herbs, as well poultry and sheep rearing, in an integrated management system. Avituri thereby creates employment for about 150 persons to date. 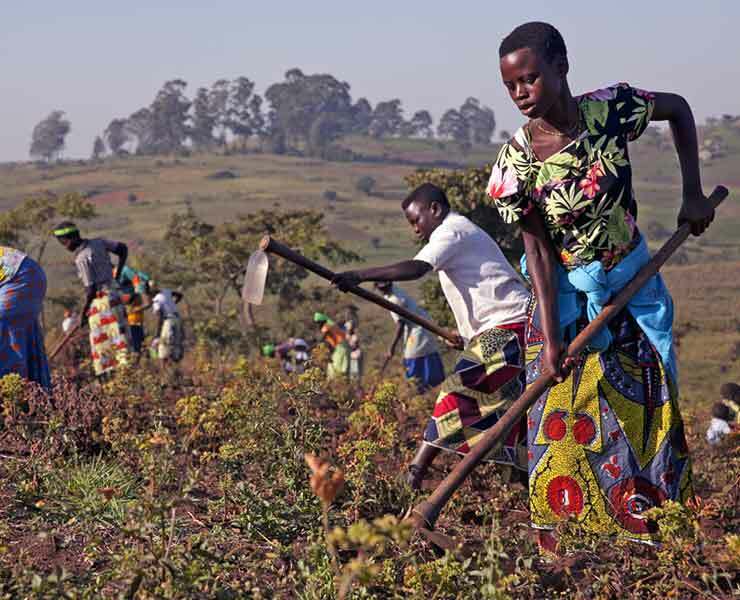 We are proud to contribute to the economic, social and ecological development of the Ituri district of Eastern Congo (DRC). 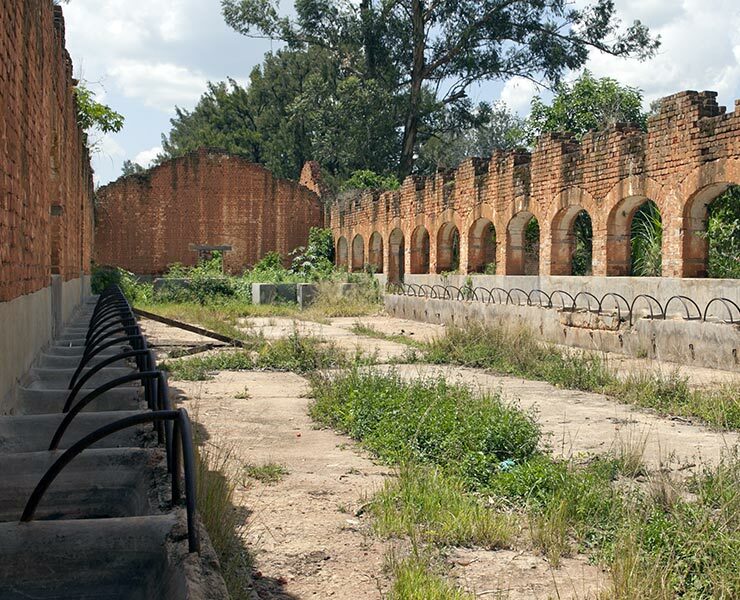 Like the whole Eastern part of Congo, Ituri was devastated by a civil war that lasted almost a decennium. By putting back to work an old land concession, we want to contribute to the economic revival of our region. 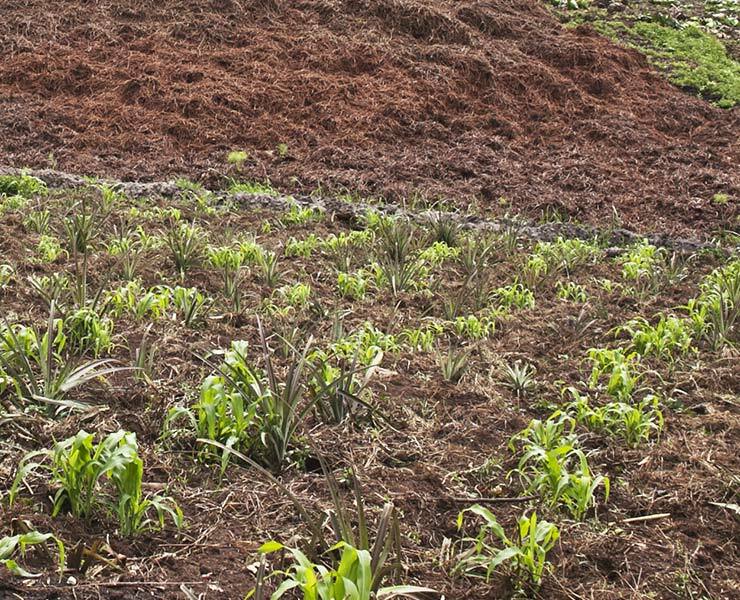 We apply organic and integrated agricultural methods in order to maintain soil fertility and our natural environment. 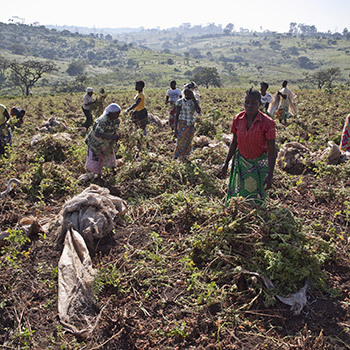 The introduction of new crops should not have a detrimental effect on the food security of the people working at Avituri. 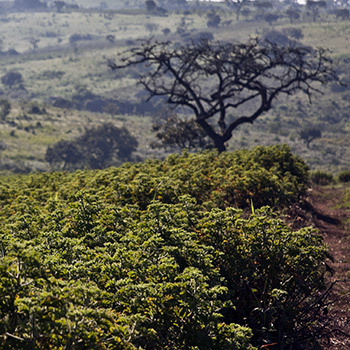 In 2013 a producer organisation of aromatic plants in Ituri has been set up under the name « Arom’Ituri”. The members of the association are mostly women working at the Avituri farm. The goals of the association are to promote cultivation of aromatic plants as well as training in the subject. Arom’Ituri also organizes basic social security for its members , as well a community projects to which Avituri and Nateva pay in by means of a contribution for each kilo of essential oil exported to Europe. At the distillery, we operate two distillations vessels in alternation, each one containing about 500 kgs of geranium leaves, enough for about 1 liter of geranium oil per distillation. The vessels receive steam from a wood fired boiler using Eucalyptus wood. 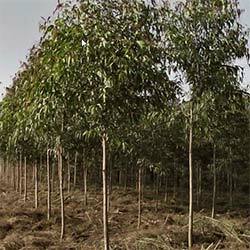 In order to be autonomous in fuelwood, we have planted 10 hectares of Eucalyptus citriodora. 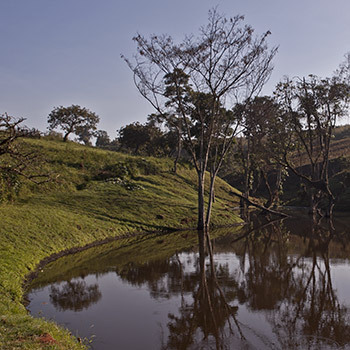 We also constructed a dam to supply the distillery with cooling water. Soon we will have tilapias swimming in the pond! 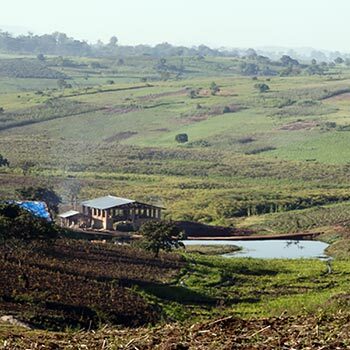 After years of refuge in Uganda, Charles Ndabazaki returns to Nioka to find an abandoned family farm, destroyed farm buildings and refugee families squatting on the land. With a lot of courage, and the financial help of a Belgian couple, he rebuilds the basic infrastructure and starts up an egg producing operation, permitting a fast return on investment to generate cash. With the support of Walter De Boeck, active in aromatic plants since 30 years, the idea matures to put into cultivation rose geranium, a plant already cultivated in Ituri during colonial times. A few plants originating from Réunion Island (source of the famous “Bourbon” geranium) serve as a base stock for multiplication. With the technical and financial help of the French company NATEVA , a pilot distillery is sent in from France and installed. After three years, 20 hectares are under geranium cultivation, with the objective to expand to 30 hectares at “cruise” level. Food production remains however at the heart of the Avituri farm (bananas, maïs, sweet potatoes, cassava), as well as animal rearing (sheep and chicken). 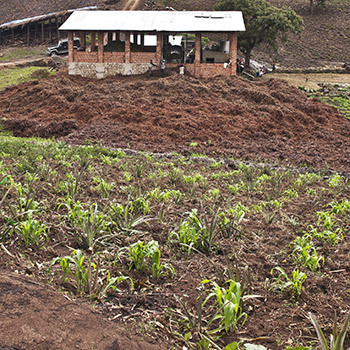 The animals also provide a base for compost in order to maintain soil fertility on the land. 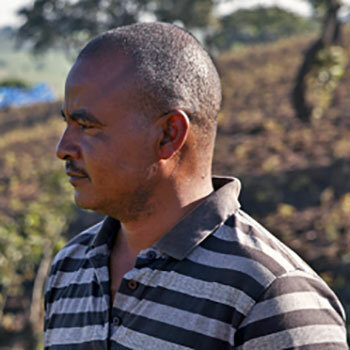 The farm is audited yearly by IMO to assure conformity with the EU’s rules of organic agriculture. 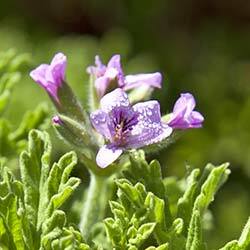 This truly floral essential oil has all the properties of Bourbon type geranium oil. 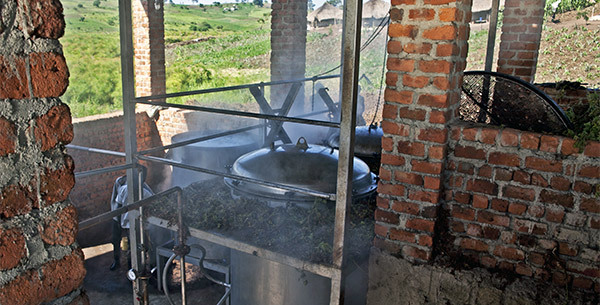 We distill lemon Eucalyptus essential oil from the branches of the trees when producing fuel wood for our boiler. Our lemon scented Eucalyptus citriodora oil has a pleasant perfume and is rich in citronellol. 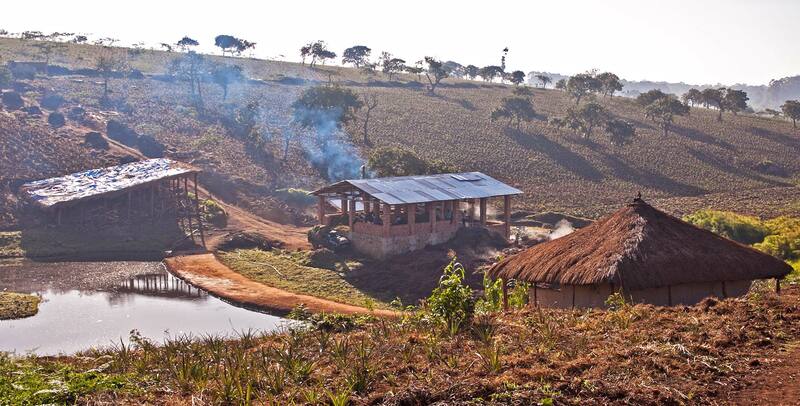 Ituri district of Eastern Congo (DRC).